Race relations: where from, where now, where to? Race relations in The Centre – where we have come from, where we are at now, where we are heading. That’s the focus of a conference in late September being organised by author John Strehlow and linguist David Moore. Left: John Strehlow with the first volume of his massive work of historical biography, The Tale of Frieda Keysser. Frieda was his grandmother and wife of Carl Strehlow. This is no policy digest, nor does it approach the subject as a set of problems. The program suggests that this can be an area of rich encounter and exchange, that it has been that at least in part from the outset and is at present in a phase of unprecedented change. If we are to understand the present and think about the future we need more reliable information about what has happened in the past, what has failed, what has succeeded. And we also need to appreciate the remarkable work in the domain that continues to be done, often in partnership or by small groups of people. John Strehlow’s forebears – his grandfather Carl and father Ted (T.G.H.) – are early examples. Contemporary perspectives on their contributions will be the subject of some conference papers while others will take up related themes from within their own experience and frameworks. 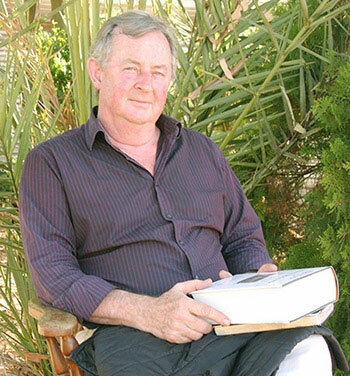 Prominent anthropologist and linguist Peter Sutton, author of The Politics of Suffering, will use memoir, photography and written records to present an eyewitness account of Peret Outstation, south of Aurukun on Cape York Peninsula, one of many Aboriginal outstations to break away from mission settlements in the 1970s. The early years of great hope were followed by collapse and abandonment but now there is a new push to “reinvest the same bush with people”. Professor Sutton will ask, is this a better future than small town torpor or urban drift? Veteran Northern Territory public servant Bob Beadman will speak on Welfare, asking whether it is compassion or a curse. His views on this issue will be broadly familiar to readers of this site. 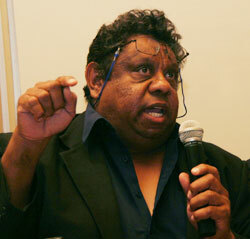 He will argue that personal responsibility amongst Aborigines in the NT has been continually eroded by government policy since 1974, including by the unique form of land title delivered under Land Rights, the payment of mining royalties to individuals, and in-built disincentives to work and get an education. Current chair of the Strehlow Research Centre (SRC) Board and fluent Western Arrernte speaker Glen Auricht will reflect on how the Arrernte will survive changing political realities, including the changing use of technology on their lands. Western Arrernte man Ken Lechleitner (left), a member of the SRC Board and contestant in recent Territory Legislative Assembly elections, will discuss the experience of Aboriginal people living under “two laws”, while former Supreme Court Judge Dean Mildren will examine issues of forensic linguistics. Carl Strehlow was a leading Lutheran missionary at Hermannsburg (Ntaria) at the turn of the last century, whose dying and death were the subject of his son’s famous memoir, Journey to Horseshoe Bend. Less well known is his authorship of a dictionary of Aranda (Arrernte), Loritja and Dieri words, some 8000 entries. It was the most comprehensive dictionary of Indigenous Australian languages at that time and is possibly unsurpassed. Anna Kenny, author of The Aranda’s Pepa, and Western Arrrernte and Luritja woman Rhonda Inkamala will discuss this work – important, argues John Strehlow, in appreciating something of the complexity and nuances of these languages, which most non-Aboriginal Australians have no understanding of. Educator Susan Moore, who has a Master degree in Applied Linguistics, and colleagues will look at the contemporary literacy program at Ntaria. There is a widespread impression that present government policy does not support the teaching of Indigenous languages. However Moore is employed by the Department of Education to upskill Indigenous staff in the teaching of language and culture programs. Part of her role is also to work with Charles Darwin University (CDU) on archiving and documenting all the Indigenous language books in Central Australian schools for the Living Archive of Aboriginal Languages (LAAL) project. The issues surrounding the LAAL digital archival project will be considered by Michael Christie, Brian Devlin and Cathy Bow, all staff of CDU. They are seeking to keep at the forefront of their work a focus on who will use the resource and how it will be evaluated. From the vast archival resource of the SRC, the annotated maps by T.G. H. Strehlow and his field diaries are being used to develop an accessible framework using digital mapping tools – invaluable in the ongoing repatriation work of the SRC. This Cultural Mapping will be the focus of a workshop by researcher and anthropologist Adam MacFie, Western Arrernte man Mark Inkamala and Northern Arrernte man Shaun Angeles. Right: T.G.H. 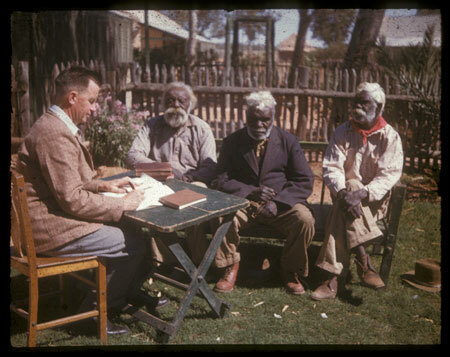 Strehlow with his Arrernte informants, including Moses Tjalkabota (in the middle of the three). Image from the Gross collection, courtesy Strehlow Research Centre (Gross 1015). Other erudite contributions by T.G.H will be explored, including by James Cox and Phillip Batty. Dr Batty, currently senior curator of the Central Australian anthropological collection at the Melbourne Museum, will look at T.G.H.’s part in an expedition to Mount Liebig, organised by the University of Adelaide’s Board of Anthropological Research. His experience with remote Aboriginal people “untouched by white civilisation” laid the foundation for much of his later work, Dr Batty argues. Professor Cox will present a summary of T.G.H.’s contribution to the understanding of traditional Aranda religious life and argue for its relevance in interpreting changing religious allegiances of contemporary Aboriginal peoples. Translations of the religious concept of the ‘Altjira’ – often as the ‘Dreaming’ – will be examined by David Moore, interpreter and translator in Central Australian Aboriginal languages and linguistic researcher. He will look at the challenge for lexicographers to recover its original meaning and take into account new meanings acquired through the influence of Christian missions and anthropological fieldwork. One of the significant informants to contribute to Carl and T.G.H. Strehlow’s understandings of the concept was Western Arrente man Moses Tjalkabota. He was a small boy when German Lutherans first arrived in his country in 1876. He later became a fervent Christian and evangelist, travelling through The Centre despite the blindness that afflicted him in adulthood. Though Moses never lost his Arrernte language or love of his country, he came to believe that his people would have to change some of their ways, particularly the practice of revenge killings, if they were to survive. This is a central theme of Peter Latz’s anticipated account of his life which will be launched at the conference. A visit to Hermannsburg, where Moses grew up and is buried, is scheduled for the late afternoon of the conference’s second day. John Strehlow and others will contribute their insights into the history of the mission and its contribution to social development in The Centre. The Aranda people were sensitive to Vasula’s visit to Alice Springs sometime in the 90s. Moses Tjalkabota was my mum’s great great-grandfather. As an evangelist he was one of the first Aborigines to preach the gospel to Aborigines living in remote communities.